To be honest, blogging has been the last thing on my mind recently. About a month ago I suddenly decided to have some hip surgery I’ve been putting off for a while. I did a few last beautiful spring walks in Old Delhi with friends, my husband and son wangled some time off work/school and we flew back to Edinburgh. 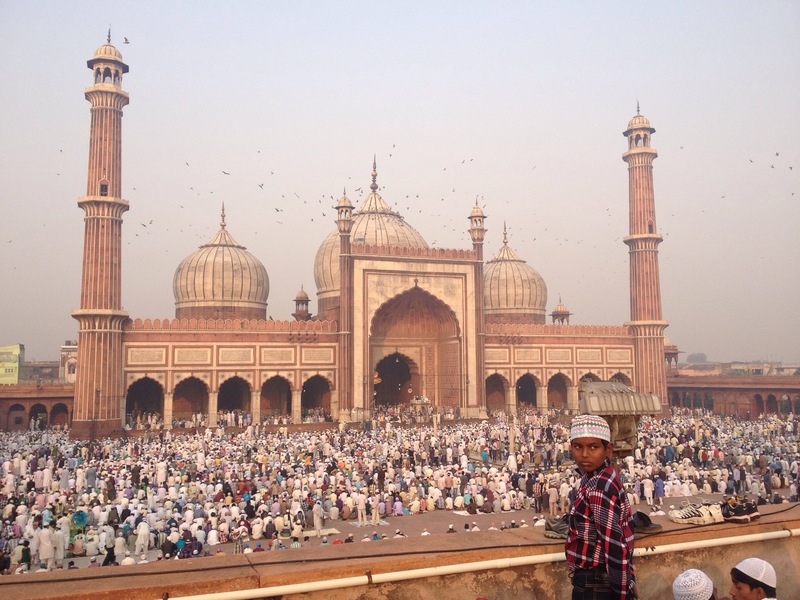 It’s now been two weeks since the surgery and needless to say my usual musings on my beloved Old Delhi have been on hold as I concentrate on putting one foot in front of the other. I’m very thankful that all seems to have gone well but frustrated to not be racing around yet. 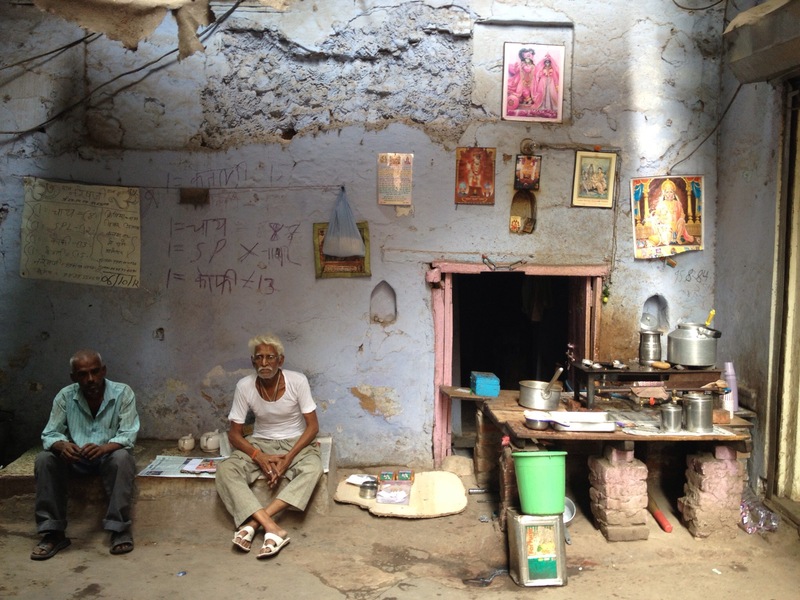 One of the things I think about every day is ‘could I manage Old Delhi yet’? That could take some time – I’m still struggling to cross the road in Edinburgh before the green man disappears! I’m also not doing much in the kitchen beyond making cups of tea and heating up soup – although Dean says I must be on the mend because I’ve started bossing him around when he’s cooking. I’ve got to say, though, everyone in the family is proving to be pretty nifty in the kitchen. Dean has produced a constant supply of stews and roasts (it’s bloody freezing here – in fact yesterday, the alleged start of British Summer Time, saw snow in Edinburgh). My daughter makes a mean Thai Green Curry and my youngest son is the king of Carbonara. My eldest son has yet to rattle the pots and pans but I have big plans for him in the weeks ahead. My Mint newspaper baking column is also on hold for the time being but I’m hoping to rustle up some recipes in the next week or so. Anyway, as you can imagine blogging has been the last thing on my mind given that the things I most love to write about – Old Delhi and baking – are out of reach for now. So I was absolutely flabbergasted, in fact I thought it was a codeine-induced hallucination when I saw on Twitter yesterday that Eat and Dust is a finalist in the Saveur Magazine Blog Awards 2015. Stunned – out of 50,000 entries, I’ve been shortlisted in the Culinary Travel category. Thank you, thank you, thank you to whoever nominated me! If you’d like to vote, or just take a look at the wonderful range of beautiful blogs Saveur have highlighted again this year (they’ll certainly be helping me pass the hours between physio and binging on Netflix), click here. 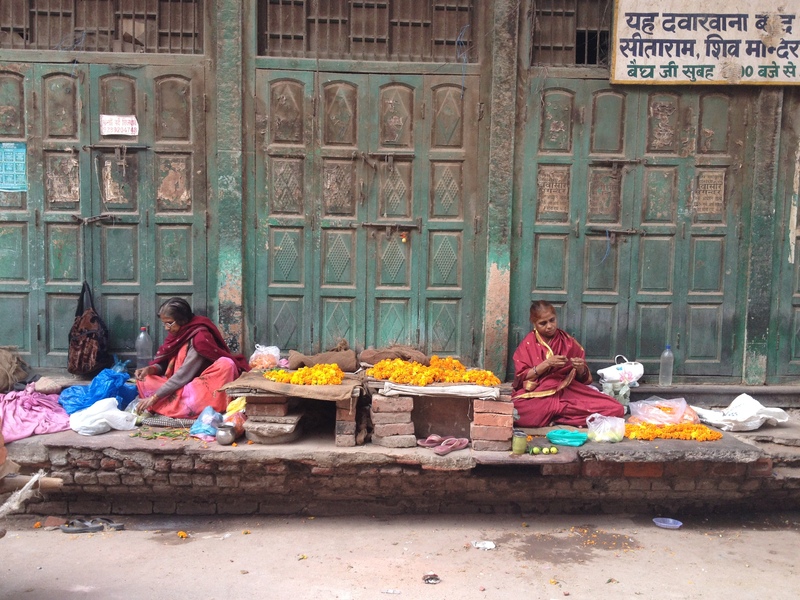 I noticed these two old ladies quietly threading marigolds in Sitaram Bazaar the other day. In their deep red saris at either end of a makeshift table piled with flowers. They’re like book ends, perfectly framed by the ancient green doors.